It’s ironic, but in making the RS such brilliant value for money, Triumph have done the S model a disservice. The S is a great roadster that has a wonderful triple motor and a good level of equipment. But, and it is a big but, the RS is priced so tantalisingly within reach for an incredible amount of extra equipment, it’s almost impossible to turn it down – especially as most of the items are inevitably bought aftermarket by owners anyway. If you owned a Speed Triple S you would be delighted, right up until the moment you parked it next to an RS, at which point your heart would sink slightly. The S rides beautifully on the road and you never call into doubt the quality of the Showa suspension or that beautiful triple motor. It’s just a wonderfully good fun bike to ride and while not as full-on as other super nakeds in terms of performance, that’s not its target audience. 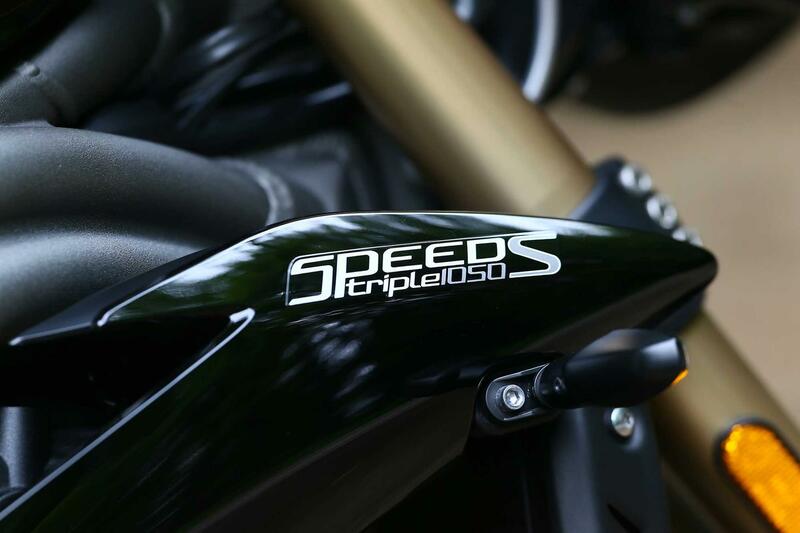 This is a bike to be enjoyed – and thanks to that triple motor with its new lease of life, you will certainly enjoy riding the Speed Triple S.
The 1050cc triple has received, according to Triumph, over 105 new parts for 2018 that has boosted its power by 10bhp and torque by 4ftlb. It’s a wonderful motor that sounds deeper and responds faster than the previous generation’s engine. As a relaxed road bike it’s perfect and has enough grunt to deliver thrills without too many spills while the gearbox is positive and precise – unlike on so many of the previous models. 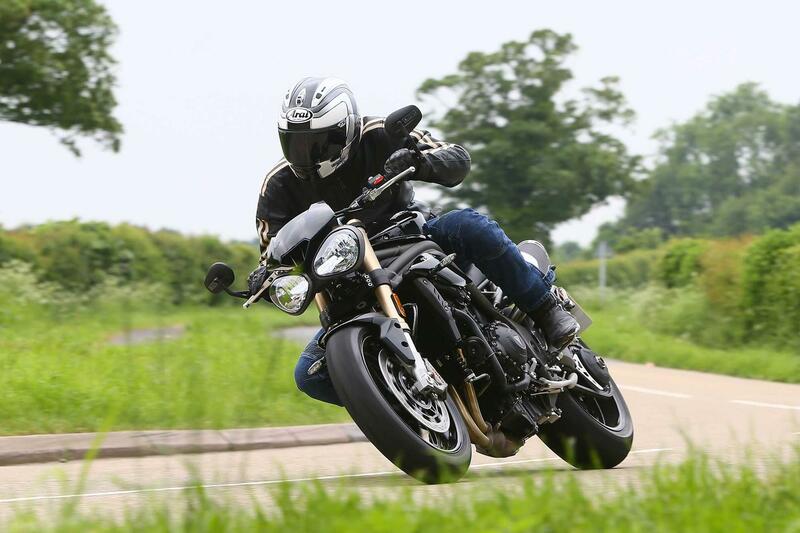 The build quality appears very impressive on the Speed Triple S and anyway, if it all goes wrong Hinckley isn’t that far to travel to and complain. 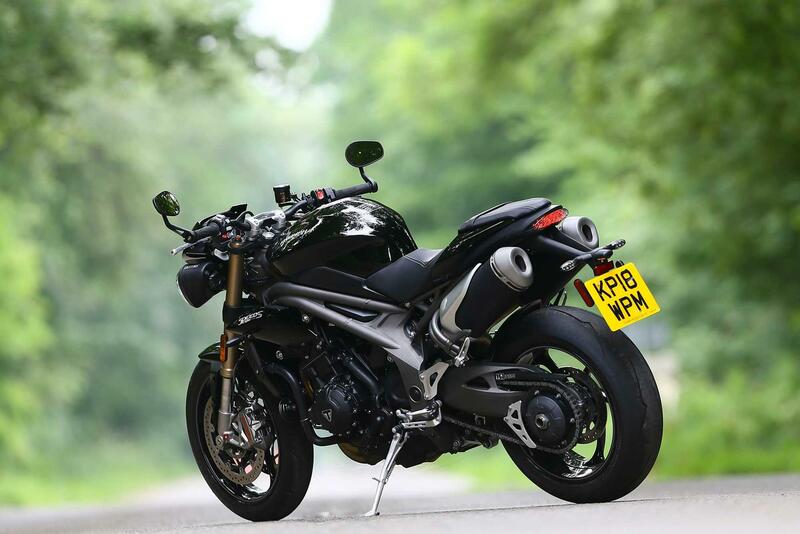 At £11,350 (plus £150 if you want a white bike) the Triumph Speed Triple S is at the top end of the super naked scale. There again, it does come with a good electronics package, TFT dash and a high level of build quality. It’s only when you see the all-singing RS model is just £1900 more that you start to question its price tag. While you get traction control and ABS, they aren’t angle-sensitive, which is a shame. 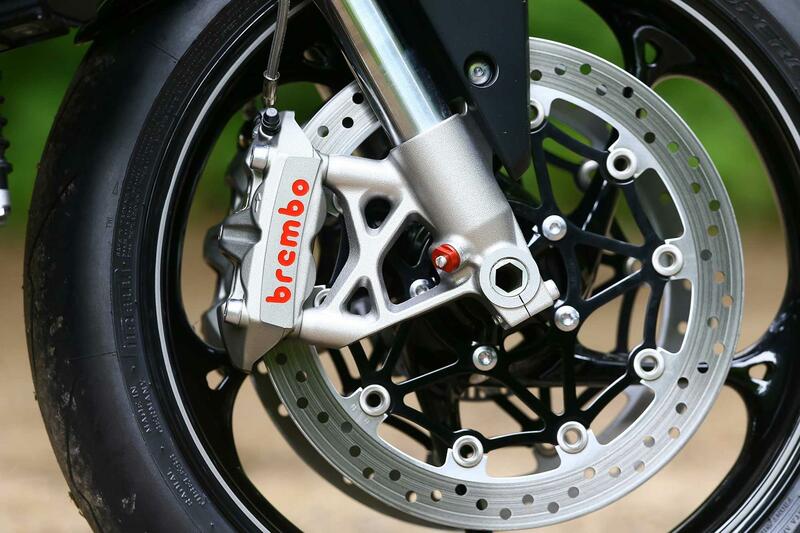 The Showa suspension is fully-adjustable, you have Brembo monoblock radial brakes, four rider modes, a TFT dash, Pirelli Diablo Supercorsa tyres, cruise control and back-lit switchgear. It’s all very impressive - but again, until you see the RS’s spec list. 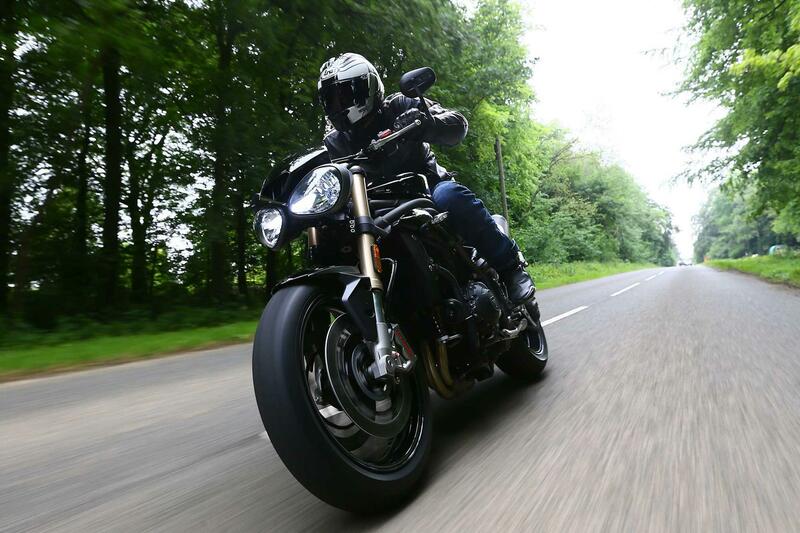 Over the years there have been several significant changes to the Speed Triple range. In 1994, the 885cc steel-frame Speed Triple was launched. 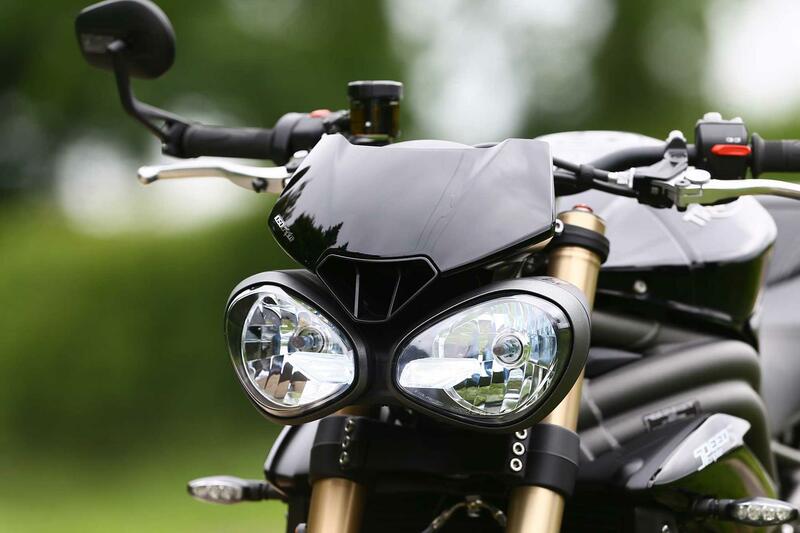 In 1997, the second-generation of Speed Triple, the T509, gained the iconic twin headlight look. The following year, 1998, the motor grew to 955cc. In 2005, the ‘underseat pipe’ 1050cc Speed Triple was launched. 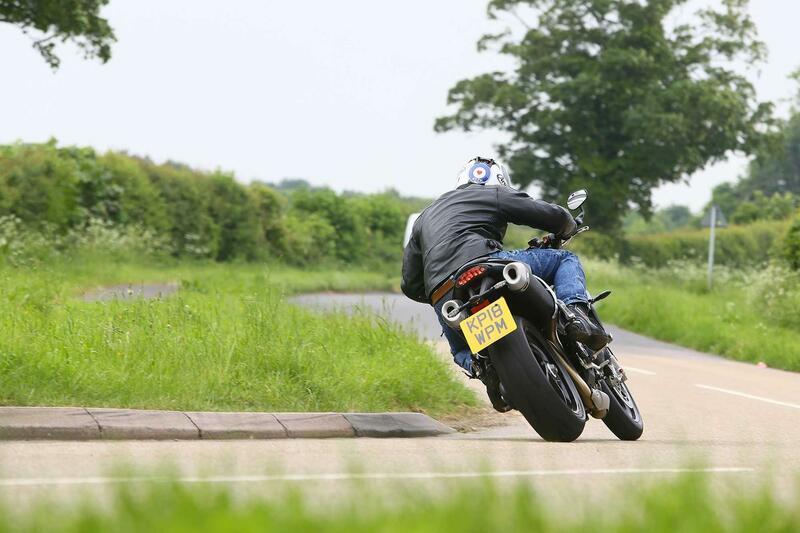 In 2008, the Speed Triple 1050 was updated with new wheels, brakes and subframe. In 2011, an all-new Speed Triple was launched with sportier handling. 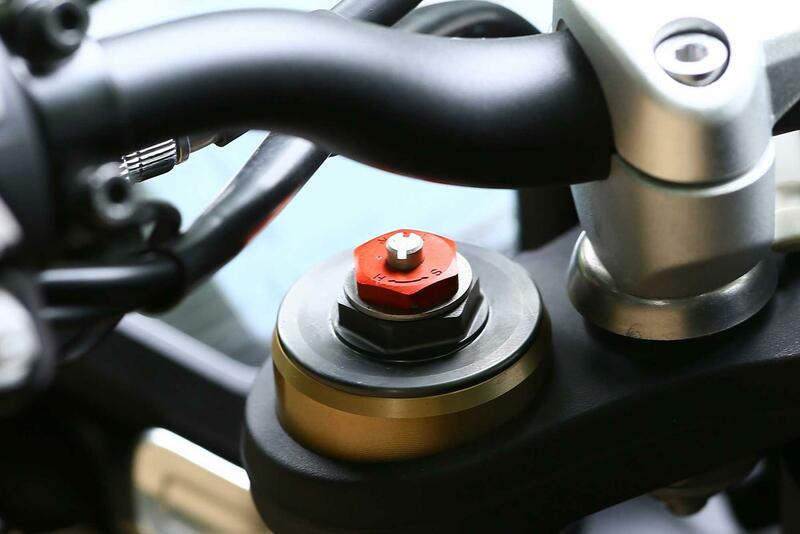 The first Speed Triple R arrived in 2012 with Öhlins suspension and most recently in 2016 the Speed Triple was updated and available in R and S forms. 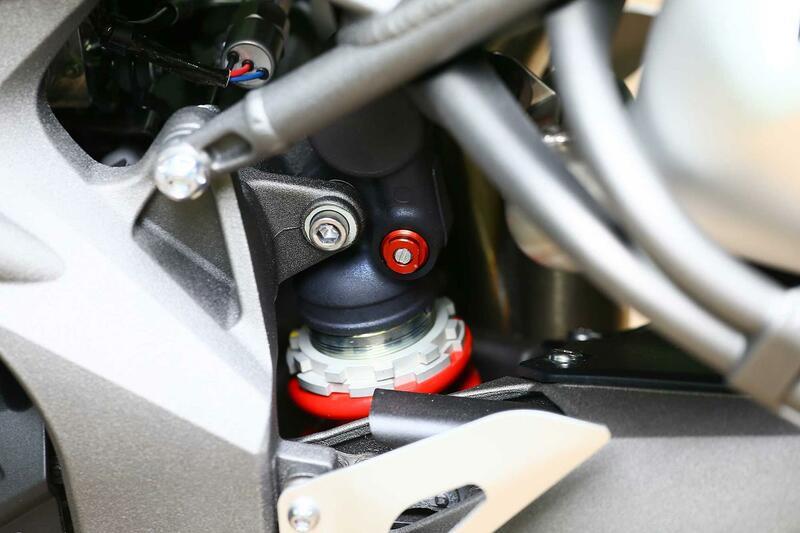 The Speed Triple RS costs £13,250 and comes with Öhlins suspension, an IMU and corner-sensitive ABS and traction control, an extra ‘track’ riding mode, lap timer, carbon body panels, a belly pan, keyless ignition and Arrow titanium end cans. No owners have yet reviewed the TRIUMPH SPEED TRIPLE 1050 S (2018-on). 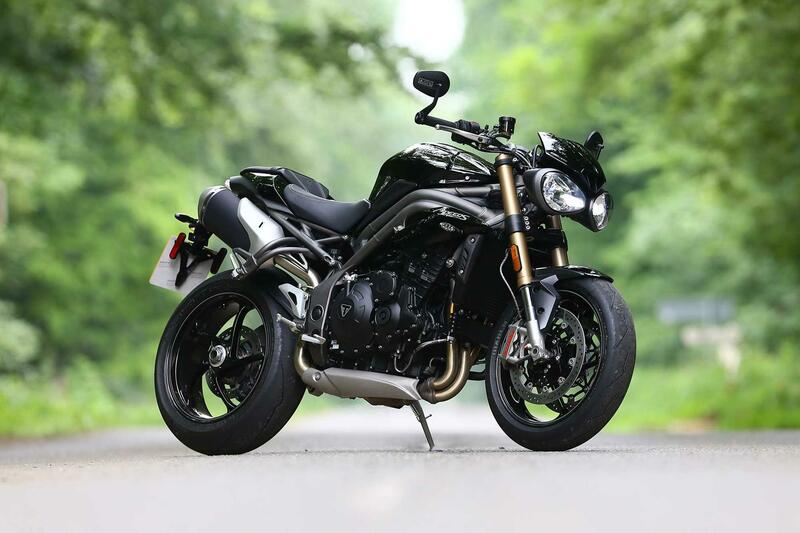 Triumph Speed Triple S bike review Triumph Speed Triple S side view Triumph Speed Triple S, 2018 model. 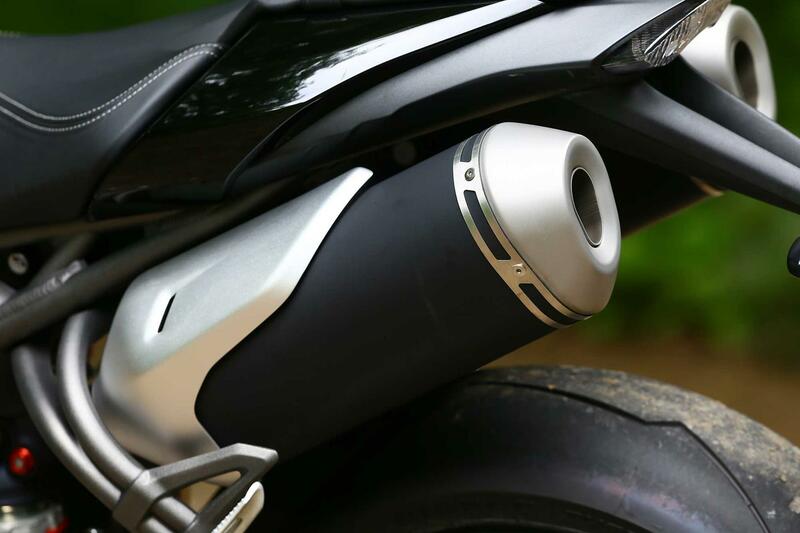 Triumph Speed Triple S exhaust. 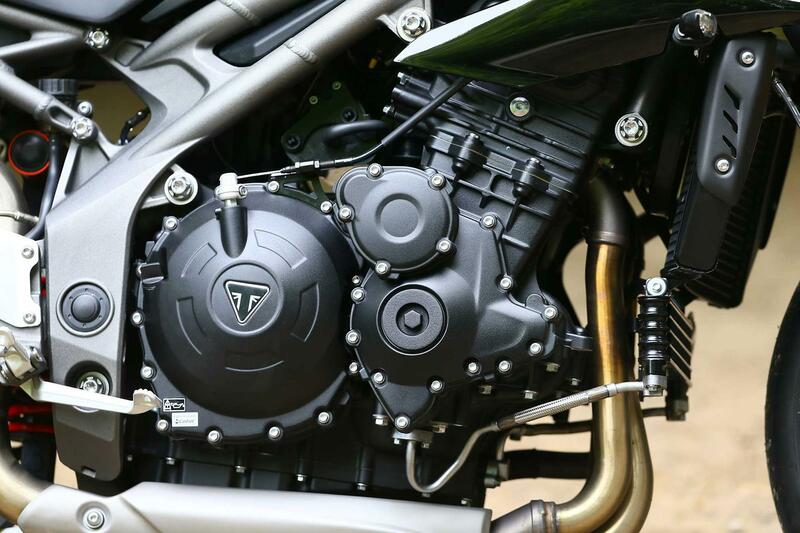 Triumph Speed Triple S close-up. 2018 Triumph Speed Triple S. Triumph Speed Triple S wheel. Triumph Speed Triple 1050 S. Triumph Speed Triple S engine. 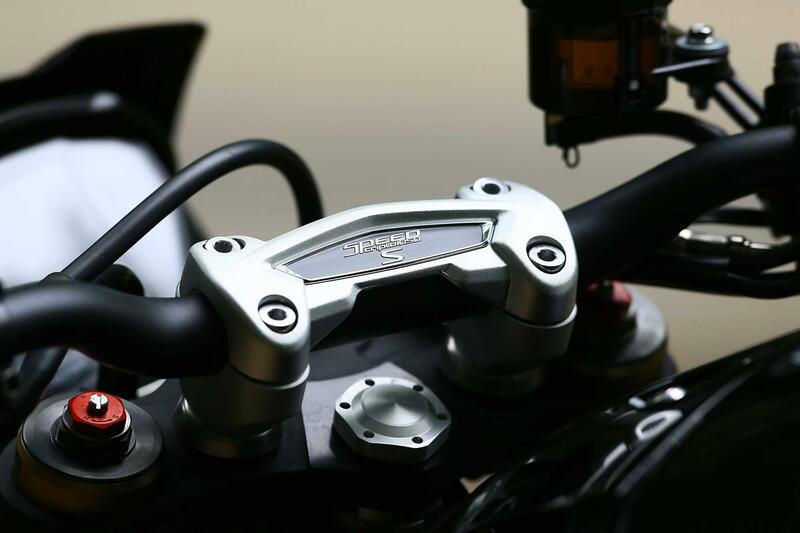 Triumph Speed Triple S handlebar. 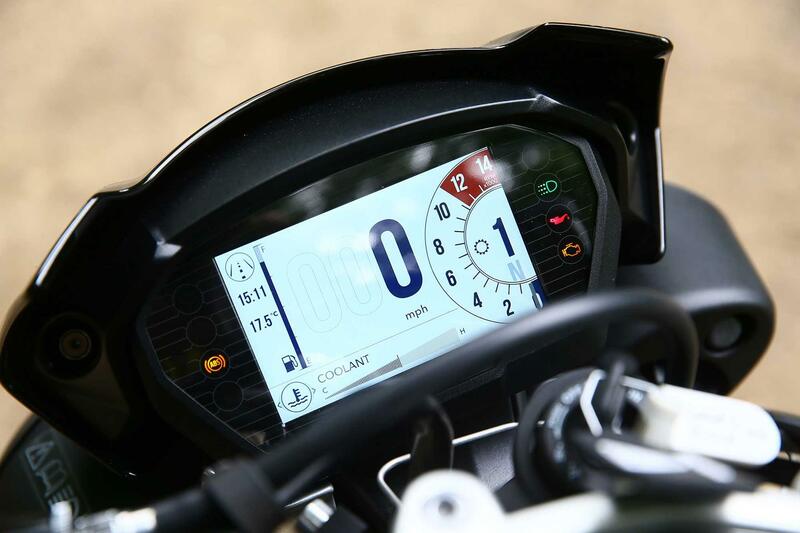 Triumph Speed Triple S screen. 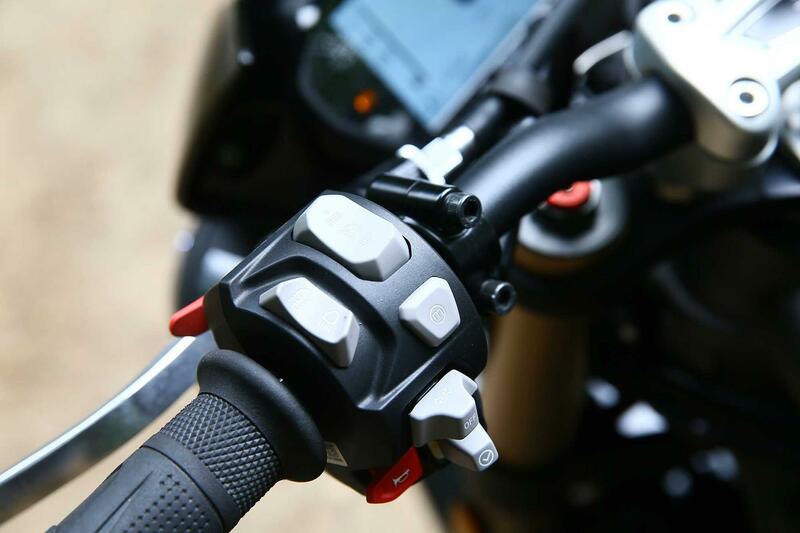 Triumph Speed Triple S switches. Triumph Speed Triple S rear view. Triumph Speed Triple S ridden by MCN. Triumph Speed Triple S lights.